Geoff Johns (GREEN LANTERN: SINESTRO CORPS WAR, THE FLASH, ACTION COMICS, JSA) and superstar artist Ivan Reis raise the dead in a story that rocks the foundations of the DC Universe! Throughout the decades, death has plagued the DC Universe and taken the lives of heroes and villains alike. But to what end? As the war between the different colored Lantern Corps rages on, the prophecy of the Blackest Night descends, and it's up to Hal Jordan and the Green Lantern Corps to lead DC's greatest champions in a battle to save the universe from an army of undead Black Lanterns made up of fallen Green Lanterns and DC's deceased heroes and villains. This collection of the best-selling epic is the culmination of the events that Geoff Johns has been leading to since he re-launched the Green Lantern franchise in 2006! 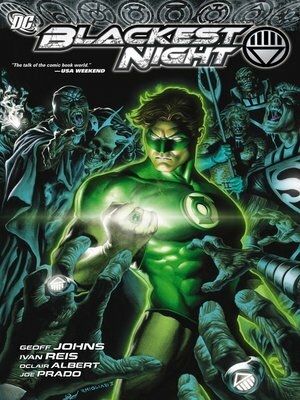 Collects BLACKEST NIGHT #0-8.